If you're feeling down, this pin-sized book may be just the thing to cheer you up. Just don't put it in your pocket, or it'll be lost forever. "Life's Lil Pleasures" was created by illustrator and designer Evan Lorenzen. 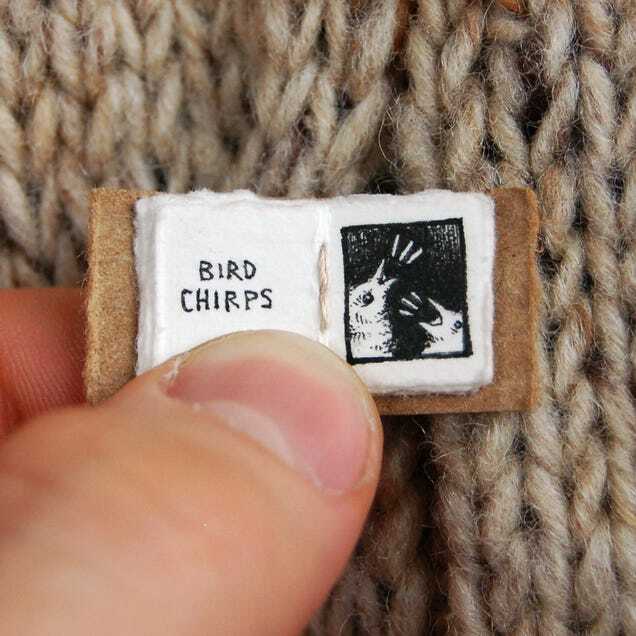 Lorenzen has spent the last year building a library of "micro books" with diverse themes, including one that details major events in Earth's history, a tiny book of big words, and a field guide to cereal. 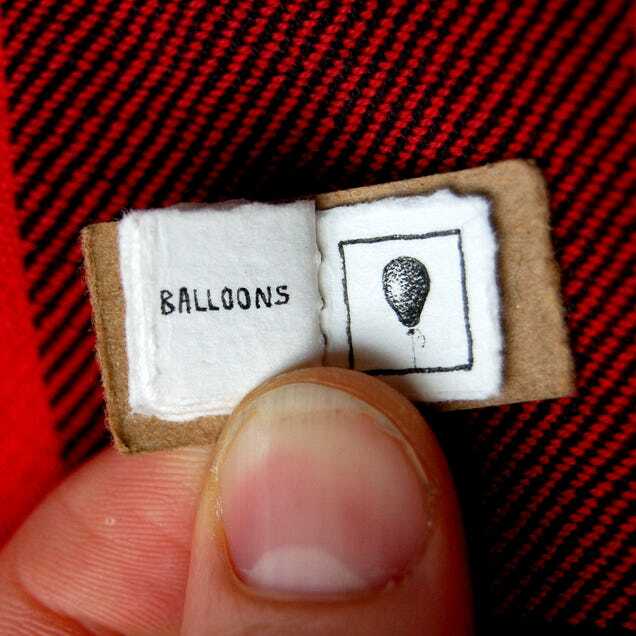 Armed with nothing but paper, thread, a sewing needle and a pen, Lorenzen says his goal has been to scale down the book-making process as much as he can without using any sort of magnifying instrument. 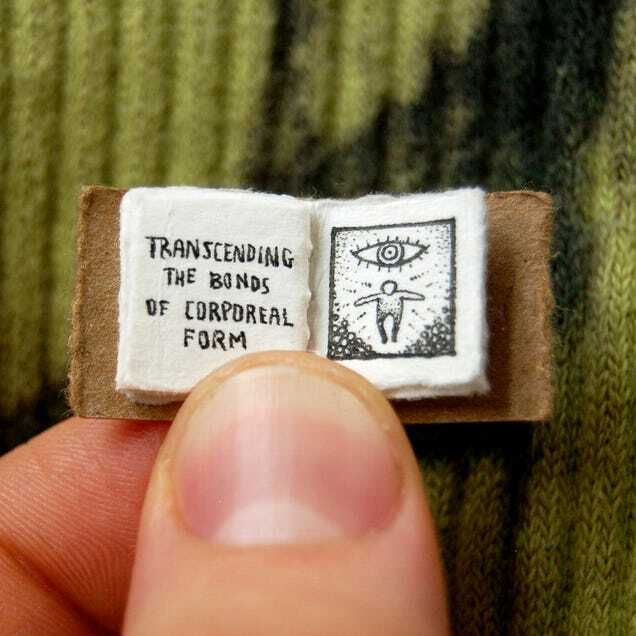 With Lorenzen's blessing, Gizmodo readers can now enjoy a sneak peek beneath the tiny book's cover. 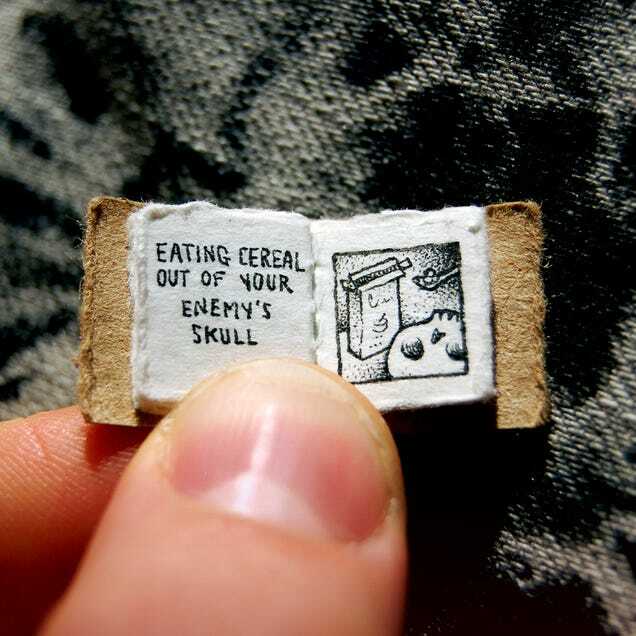 Remember: It's the little things that count, like eating cereal out of your enemy's skull. 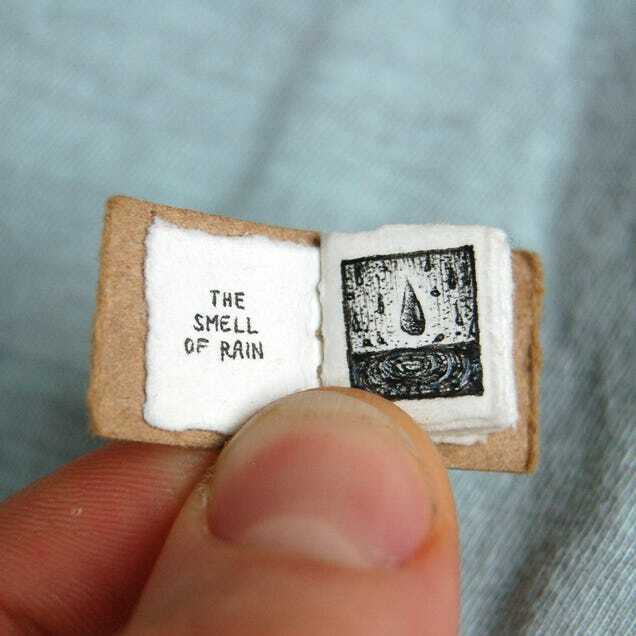 You can check out more of Lorenzen's tiny books on his website.